Lynq, a NYC-based location technology company, closed a $1.9m seed round of funding. The round was led by Plus Eight Equity Partners with participation from ARC Angel Fund, Angel Investor Forum and other strategic angels. In conjunction with the funding, Rishi Patel, Managing Partner of Plus Eight Equity Partners, has joined Lynq’s board of directors along with MIT engineer-turned-media expert Shauna Mei. 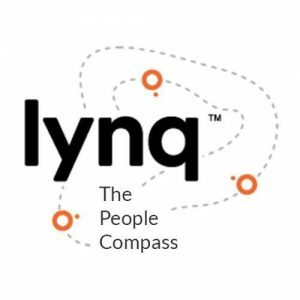 Led by Dave Shor, CEO, Lynq provides peer-to-peer technology that allows individuals and groups to locate each other anywhere in the world and works independently of phones, cell networks, Wi-Fi and maps. Rugged and waterproof, Lynq is reliable under extreme conditions and can support up to 40,000 units in a small area without interference. A B2B2C rental rollout will be followed by direct to consumer sales towards families and outdoor enthusiasts as well as government use. Successful betas were conducted at Telluride and other ski resorts and additional tests are scheduled for this summer at theme parks and festivals while the technology is also under evaluation for use in disaster relief, search and rescue, and stealth operations. Founded in October of 2014, Lynq is an alumnus of HAX, a hardware startup accelerator based in Brooklyn, New York.